Anton (Antonius) Braun Sr. (der Ältere) was born on April 22, 1686, in Möhringen an der Donau (bei Tuttlingen), a small town on the upper Danube,in Baden-Württemberg, Germany, in an old Bürger family, mentioned to live in Möhringen as long ago as in 1491. Anton was the first child from the second marriage of Hans Jacobus Braun (born 25.07.1651) and his wife Franziska Riestler (Hans Jacobus Braun had 3 daughters and 2 sons from his first marriage). Anton Braun had a younger brother, Johann Georg (b. 27.05.1688), who also became an optician and instrument maker, but could never reach the technical brilliance of his elder brother. Hans Jacobus Braun also worked as mechanician and watchmaker, so obviously Anton learned the basics of mechanics in his parental home. Anton Braun probably married young in his hometown, because in 1708 was born his son, Anton Braun Jr. (der Jüngere) (1708-23.10.1776), who also became a skillful instrument maker, optician and watchmaker as his father, and probably made a copy of one of his calculating machines, still preserved in Technischen Museum, Wien. At some point Braun left his hometown to go to Vienna, most probably to study at the University of Vienna. There on 19 April, 1712, Braun, designated as "University optician and mathematician" married to the "Postmaster daughter" Maria Magdalena Stein from Ettlingen. It seems during his years in Vienna, Braun was highly appreciated by the Imperial Engineer and professor at University of Vienna—Johann Jakob Marinoni (see the nearby portrait). Braun was warmly recommended by Marinoni and worked for him in the years 1720-1723 as a surveyor in cadastral surveying in the duchy of Milan. Anton Braun was one of the most prominent instrument makers of his time. It is known that he had workshops in Prague (1719), Milan (1720), before to return to Vienna in the beginning of 1720s. In 1724 he was appointed for the vacant position of Kammeropticus et mathematicus in the Austrian court, due to his outstanding precision mechanical and mathematical skills. Three years later, he sat down as a candidate for the post of Imperial instrument maker by an impressive number of competitors against. And he won, presenting to the Emperor his advanced calculating machine (see the calculating machines of Anton Braun), which he constructed in 1724 and which was already in use at the imperial court. Braun apparently got into favor of the Holy Roman Emperor Karl VI, because he was not only appointed as an imperial instrument maker, but was also granted with a 12-diamonds chain (value of 500 guilders), occupied with the portrait of the Emperor (kept now in the Museum in Rathaus Möhringen) and a huge sum of money—10000 guilders. The 10000 Gulden were never paid out however, because of war-related expenditures and financial difficulties of the Viennese Court under Empress Maria Theresia, the daughter of Karl VI. Nevertheless Braun bequeathed half of his assets to his home town, so 6000 guilders was used for charity and the construction of a hospital. A circular sundial made by Anton Braun in 1719 is kept now in the collection of Adler Planetarium in Chicago. 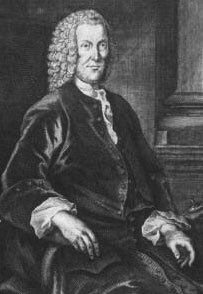 Unfortunately the brilliant mechanician Anton Braun died too young (41 years old) from long-running lung disease, on 2o April, 1728, in Vienna.